This page is dedicated to those Eagles who have already passed on before us. Any names and obituaries posted here are those that have been noted from a quick scan of the Star Telegram Obituaries Column and/or by word of mouth. If you know of any Eagles who have passed away recently, let us know so we can post their name here. Thomas Walk, 82, of Denton passed away on Tuesday, November 21, 2017 at Good Samaritan Society Lake Forest Village surrounded by family. He was born on November 1, 1935 in La Feria, Texas to Ora W. and Bernice Ophelia (Parker) Walk. Thomas married Cecilia Ann Hoogendorn on November 25, 1989 in Dallas, Texas. Thomas is survived by his loving wife, Cecilia Ann, two daughters; Linda Cook and Katherine Dailey; two step-daughters, Genelle Woodard and Gene Ann Dixon, and his son, James Walk. He is also survived by 8 grandchildren and 10 great-grandchildren. He was preceded in death by his parents and sisters, Barbara Williams and Ora Madelyn Ljungvall. The family asks that no flowers be sent but suggest that any donations be made to Scottish Rite Hospital in Dallas or Denton County Hospice. 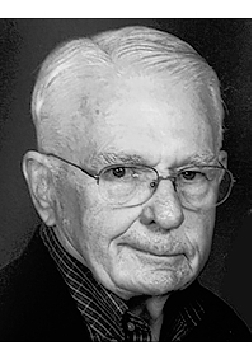 Charles E. Quick FORT WORTH -- Charles E. Quick passed away on February 12, 2019. MEMORIAL GRAVESIDE: 4 p.m., Friday, April 5, 2019 at Bluebonnet Hills Memorial Park Mausoleum. 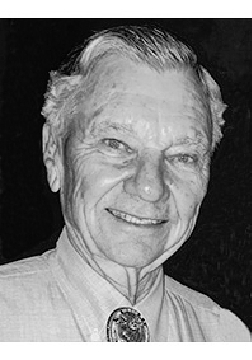 Dr. James Raymond Cole GAINESVILLE--Dr. James Raymond Cole of Gainesville, Texas, passed away Thursday, March 21, 2019, at the age of 87 years old. FUNERAL: 1 p.m. Friday, March 29, 2019, at St. Paul's Episcopal Church with Fr. Jeff Stubbs officiating. Visitation: 5 to 8 p.m. Thursday, March 28, 2019, at Geo. J. Carroll & Son Funeral Home in Gainesville, Texas. 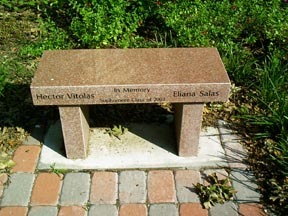 MEMORIALS: In lieu of flowers, memorial contributions may be made to St. Paul's Episcopal Church at https://stpaulsgainesville.com/. 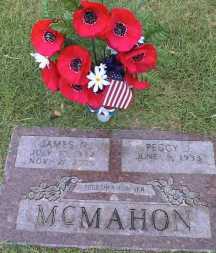 James was born May 30, 1931, in Fort Worth to JT and Lonnie Louise Cole. He married his sweetheart, JoAnne James from San Antonio, and raised their four children in Gainesville as members of St. Paul's Episcopal Church. Dr. Cole grew up in Fort Worth with his late brother, Ralph Cole, and late sister, Eva Lela King. Dr. Cole graduated from Southwestern Medical School in 1957. He was a family practitioner in Gainesville, retiring in 2014 at the age of 83 years old. He met the love of his life, JoAnne, while he was in medical school, and she was in nursing school. They worked alongside each other for over 50 years. SURVIVORS: Dr. Cole is survived by his wife, JoAnne James Cole; his children, Dr. Steven Cole and his wife, Janice, Nancy Cole and her husband, Ben, Michael Cole and his wife, Serena, and David Cole and his wife, Cathy; his grandchildren, Ryan, Alice, Will, Britney Jo, Ashley, Branden, Barrett, Christian, Maddi, Camille, and Cooper; and his great-grandchildren, Oliver and Kilian, with one more on the way. 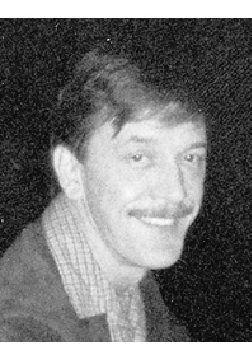 Roger Lee Mulder FORT WORTH--Roger Lee Mulder, 65, passed away Saturday, Feb. 23, 2019. Roger was born Jan. 13, 1954, to George and Frances Mulder in Fort Worth, Texas. He was an avid hunter and fisherman and enjoyed the rodeo in his younger years. Roger was preceded in death by both parents and his son, Adam Mulder. SURVIVORS: He is survived by his brothers, Alan and George; nephew, Orous Alexander Mulder; niece, Cassandra Mulder; great-nephew, Maxwell Mulder. Mary Lou Tate FORT WORTH -- Mary Lou Tate passed away on February 20, 2019. SERVICE: Wednesday at 3pm at Laurel Land Funeral Home. Visitation: Tuesday, February 26, 2019 from 5pm to 7pm at Laurel Land Funeral Home. Mary was born in Lipan, Texas on September 20, 1926 to Henry Mahlon and Lena Mae Sublett. She obtained a B.A. in English from T.C.U., as well as a master�s in administration and a master�s in counseling there. Mary had a thirty-seven-year career as an educator, serving as an English teacher in Huckabay and Lake Worth. She was a counselor at Arlington Heights High School in Fort Worth I.S.D. And Assistant Principal in Fort Worth I.S.D. at Diamond Hill Jarvis and Carter Riverside High School. 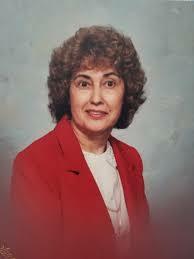 She was a lifelong member of the Church of Christ and was a founding member of Altamesa Church of Christ. After retirement, she volunteered at Harris Methodist Southwest Hospital for eighteen years, serving as chairman of the committee to organize the Auxiliary and was the first full term president of the Auxiliary. As well, she enjoyed keeping up with former students, whom she counted as family, collecting dolls, and gardening. Mary was so loved and will be missed by all who knew her. In lieu of flowers, please consider a donation to Foster's Home for Children, 1779 N. Graham Street, Stephenville, TX 76401. 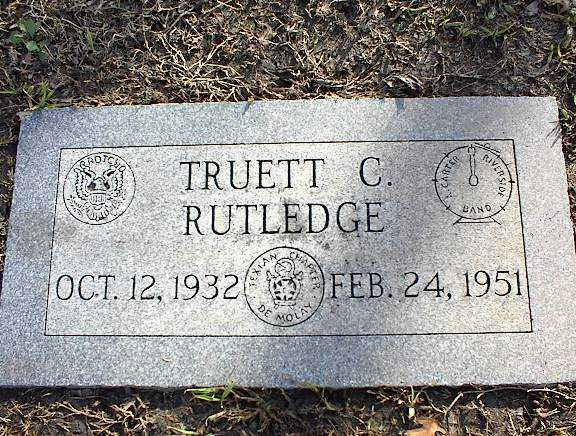 She was preceded in death by her husband, Bill Eugene Tate, parents, Lena Mae and Henry Mahlon Sublett, as well as sister, Patsy Mae Edwards, and brother Charles Derwin Sublett. SURVIVORS: She is survived by her brother, Pat Mahlon Sublett, as well as children, Jena Daniels and husband Larry, Mahlon Tate and wife Melanie, and Melissa Lou Brown. She had four grandchildren, Scott Daniels, Kristen Daniels, Ashley Flowers, and Maggie Whitt. Great grandchildren include Everett Flowers, Henry Whitt, Eli Flowers, Camille Whitt, and Emory Flowers. Marion Brown Tomme Jr. FORT WORTH--Marion Brown Tomme Jr., 88, died of a broken heart early on the morning of Valentine's Day, Feb. 14, 2019, just 20 days after his wife of nearly 57 years, Anne, left this earth. He also battled Parkinson's syndrome for many years but remained lucid to the end. MEMORIAL SERVICE: 3:30 p.m. Friday, Feb. 22, 2019, in Greenwood Chapel. MEMORIALS: In lieu of flowers, please send donations in Brown's name to Stage West Theater. Born during the Great Depression in Norman, Okla., while his father traveled with Lawrence Welk's dance band, Brown lived in Fort Worth for almost all of his nearly 89 years. He was a gifted singer and was a member of the famous Apollo Boys' Choir, the precursor for the Texas Boys' Choir. He graduated from the University of Texas at Austin with a degree in electrical engineering after serving as president of the Pi Kappa Alpha fraternity, caring for the fraternity's sock-destroying ocelot, completing Army ROTC, and leading the Glee Club. He was commissioned as a lieutenant in the Army Corps of Engineers and served in Korea. After his discharge, he began working for General Dynamics, rising during a 38-year career to senior engineering management. He received a Master of Management Science degree from Texas Christian University and became a beloved leader at GD, with a large number of his team's members staying in contact with him until his death. When the F-111 encountered a major snag because its bombs were much less accurate than the Air Force required, Brown discovered the source of the error with a handwritten emergency analysis that began, "Assume a spherical earth . . ." and ended with finding a plus sign in the code that should have been a minus sign to rescue the program. He was sent to Thailand for several months during the Vietnam War to help implement the solution. He also led the F-16 team that developed the world's first computer-graphic-driven, domed simulator at a time when computers were monstrosities that occupied many large rooms. An avid bowler and golfer, he played on company teams for years. He retired when Lockheed acquired the plant and installed their own senior management team. Brown loved to teach and helped get his sons and many of their friends through math and science classes in middle and high school and college. In addition to several long car trips each year around the United States with his family, he and Anne also traveled extensively throughout Europe, Africa, Asia, South America and Australia. Many of these trips were made to satisfy his need for speed on the ski slopes. Brought up a Southern Baptist, he and Anne, an Episcopalian, became active members of Ridglea Presbyterian Church for their entire married life. He enjoyed the theater and other performing arts, especially Stage West and the Fort Worth Symphony Orchestra. SURVIVORS: Sister, Betty Christian; sons, Ed and Ric; and his grandchildren, Trace, Kyle and Hannah. 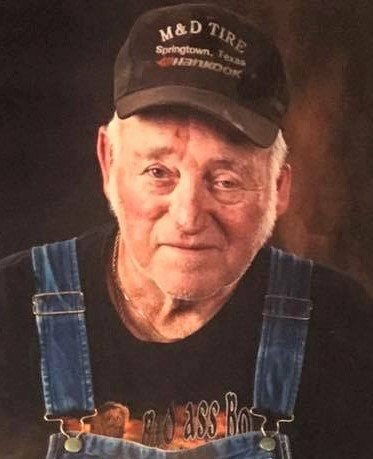 Harold Wayne Landers, 79, died Wednesday, February 7, 2019 at his home in Hurst, Texas, following his hard-fought battle with cancer. He leaves his wife of 60 years, Pat (Littlepage) Landers; his daughter, Fran Williams and husband Thom; son, Tim Landers and wife, Caryn; his brother, Don Landers; five grandchildren, Jonathan Williams and wife Tess, Dustin Williams, Victoria Williams, Scott Landers, and Katy Landers; his nephew Mike and wife Shelli Landers, niece Cheryl and husband Dewey Harrison, nephew Tom and wife Danielle Landers; and many close friends. Harold was proceeded in death by daughter, Lana Gay. Born in Denton, Texas, he attended school in Cleburne and graduated from Carter-Riverside High School, Fort Worth in 1957. The son of Herman and Lillian (Ganzer) Landers, he was a resident of Hurst, Texas. Harold attended Arlington State College, began working at Bell Helicopter in 1962 and transferred to Amarillo in 1968 after Bell opened a facility for crash damaged UH-1 Huey�s from the Vietnam War. 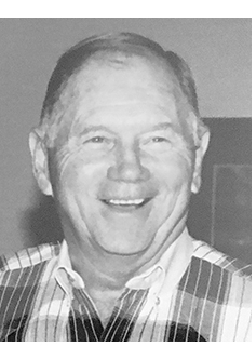 Harold was called into Christian ministry, attended Western Bible College and served as the Child Evangelism Fellowship director of the Greater Denver Chapter from 1972 to 1980. He returned to Bell Helicopter to work on the OH-58D �Kiowa� project and retired in 2001 as the Program Manager of the V-22 �Osprey�. After retirement, Harold volunteered at DFW Airport as an Ambassador even during 9-11. Bicycling became front and center and he formed the ROMEO bike group (�Retired Old Men Enjoying Outdoors�), served with March of Dimes, helped with the Cowtown Marathon, organized the Carter Riverside High School class of �57 alumni group, helped start Bear Creek Bible Church in Keller, and organized the Bell retiree�s monthly luncheons. He enjoyed spending time with his children and grand-children; fishing; hunting with his brother; and traveling with his wife, family and friends. In lieu of flowers, the family requests donations be made to the Bear Creek Bible Church Harold and Pat Landers Center for Christian Education at 1555 N. Tarrant Pkwy. ; Keller, Texas 76248. Memorial Service: 2:00 pm Saturday, February 16, at Bear Creek Bible Church, 1555 N. Tarrant Parkway in Keller. The family will receive friends and visitors from 6:00-8:00 pm Thursday, February 14, at Lucas Funeral Home, 1321 Precinct Line Road in Hurst. Burial will be held at Blue Mound Cemetery in Sanger. 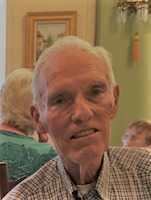 Austin Albert Harp BURLESON--Austin A. Harp, 72, departed this life on Tuesday, Jan. 15, 2019, while surrounded by friends and his beloved wife. FUNERAL: 3:30 p.m. Monday, Jan. 21, 2019, in Mount Olivet Chapel. Visitation: 4 to 6 p.m. Sunday at Mount Olivet. Austin was a native of Fort Worth. His effervescence and love of life, country and especially Jesus, will be greatly missed by all who knew him. Austin attended TCU and graduated with a degree in nursing. He was a dedicated and well-loved ER and Recovery nurse at Cook Children's Medical Center for 17 years and continued his calling in the medical arts well after that time. He served as first lieutenant in the Army and reserves for over 10 years, including actively in Korea for 13 months. His patriotism is something he always held dear. The family extends special gratitude to the caregivers, especially Hawk McGuire, Cindy Lara and Jesse Wilhite. Austin was preceded in death by his parents, Frank A. and Juanita Harp; and his nephew, Cody McGuire. SURVIVORS: He is survived by his wife of 30 years, Dee Dee; his beloved pets, Angel and Scout; many friends and extended family. Surviving family include: Cindie Sanchez, Hawk and Brenda McGuire, Tommy McGuire, Raymond McGuire Jr. and Kim, Charitie and Russ Barnes, Chad Shepherd, Michelle and Bobby Gibbs, Angelina Sanchez and Nicole, Kristen Sanchez, Kyle and Jacquie Sanchez, Colton Peel, Justin McGuire and Renee, Ashlie, RJ, Trinity, Harper, Everleigh, Rhiannon, Grant, Joseph, Harley and Jordan, Ana, and Sapphira. Alma Mae Scoggins was born June 12, 1932 in Fort Worth, Texas to Ernest and Elsie Justice. On Sunday, February 4, 2018 Alma went to the Kingdom of Heaven to be in the presence of the Lord forever. She was a special Christian lady that loved flowers. She was preceded in death by her parents and her beloved husband Ernest of sixty-one years. Those left to cherish her memory are her son, Randy Alan Scoggins of Weatherford, TX; daughters, Cheryl Scoggins Berish of Denton, Texas and Melinda Scoggins Conklin and her fianc� Joe Berry of Weatherford, Texas; six grandchildren and seven great grandchildren, Sergeant First Class, Bryan Purkey, wife Jessica and children Paige, Rylie, Olivia, Grace (OG) and Corbin stationed in Georgia, Orris Batten and girlfriend Alexandra of Florida, Charlie Batten wife Michelle and children Brylyn and Makayla of Crowley, Tommy Berish of Tennessee, Daniel Berish of Tennessee, Michele Salas husband Stephen and daughter Lilly Mae of Tennessee. Funeral service for Ms. Alma will be Friday, February 9, 2018 at 2:00PM with visitation one hour prior to service at Emerald Hills Funeral Home in Kennedale, Texas. On Tuesday, January 22, 2019, Donald R. Smith, loving husband, father, and grandfather, passed away. Don was born in Fort Worth, Texas, to Noel and Elsie (Reynolds) Smith. He was the second of four boys (David, Daniel, and the late Noel Jr.). He studied engineering at Texas A&M and served in the United States Army. After his discharge in 1963, he moved to Long Island to marry Joyce Haynes. Together, they raised three children (Donna, Margaret, and Brian) in Lynbrook, NY. He was the proud grandfather of Cathal and Eamonn Kirkyla and Parker, Samantha, and Dylan Smith. His wake will be held on Friday, January 25, 2-4pm and 7-9pm at Perry Funeral Home in Lynbrook, NY. 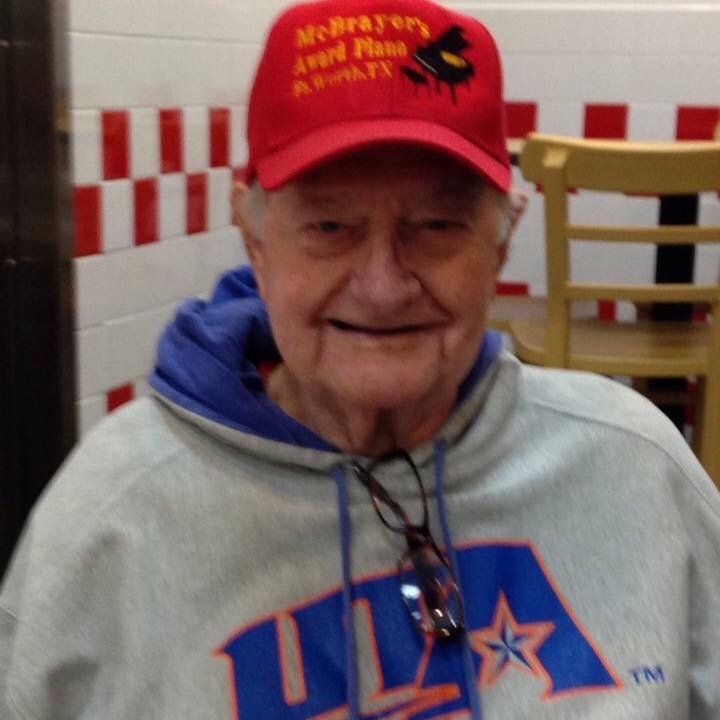 American, Patriot, Lover of His Lord Daniel Newton McBrayer, Sr., age 86, went home to be with the Lord on January 16, 2019 from Harbor Lakes Nursing and Rehabilitation Home in Granbury Texas. He was born March 15, 1932 to Hubert Bryan and Mabel McBrayer of Fort Worth Texas. Dan had a passionate love for the Lord, family, and sports in that order. His marriage to Ouida Hill produced 4 children: Danny McBrayer Jr. (wife Mary Benell McKinney), Dana Vilaboy (husband Ken Vilaboy), Shannon Sitar, Patrick Donovan McBrayer. He played ASA fast pitch softball and semi-pro Fast pitch softball for over 26 years. He travelled to the prestigious world tournament in Rock Island, Illinois on more than one occasion, and had a multi-year run with an elite five man team, the �Fabulous Five,� who held undefeated status during his time with the team.Dan was a member of the Fellowship of Christian Athletes and his ultimate love of the game was when he became Chaplain for the Arlington UTA Women�s collegiate softball team for over 10 years. He was with them during their Championship season of 2007. His service to the team members and their families brought an endearing and lifelong fulfillment of his love to share the gospel of Jesus Christ and His greater Love while here on earth. His latter career/ministry was devoted once again to his love in serving the Lord Jesus Christ. He was former host for Full Gospel Business Men�s Fellowship radio program �Good News� and member of the Full Gospel Fellowship as well as banquet speaker for the fellowship. Dan produced and hosted a public television program which aired over fourteen cable channels in the Dallas-Fort Worth area, "Joyful Praise,� for over 20 years. His youngest son, Patrick, worked on the program as cameraman while Dan interviewed various guests and performers from all walks of life, who too had a testimony for the work Jesus Christ had done in their life. 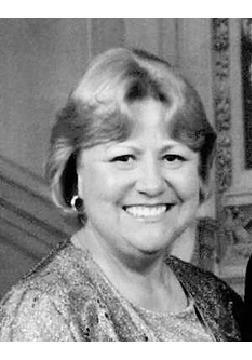 Kathy Jean Sparks ARLINGTON -- Kathy Jean Sparks, age 68, went to be with her Lord on January 2, 2019 after her long battle with cancer. She passed away peacefully with her family by her side. She was born on July 6, 1950 in Fort Worth to Durward and Jennie Bob Woolf. Kathy was a long-time member of First United Methodist Church of Arlington. Kathy loved life, her family, and friends. She was always on the go with activities for her children and grandchildren. Her mother taught her to love the theater and she enjoyed passing this love on to her daughter and granddaughters. She was a Girl Scout leader and was loved by all her daughter's friends. Kathy dearly loved her many friends including The Lunch Bunch friends, mothers of daughters from Jennifer's school friends. She loved attending soccer games and other sports with Scott and her grandchildren. It was never too cold or wet to support her kids, their activities, and Lamar High School, VFND. Kathy worked at Botanical Research Institute of Texas where she shared her beautiful smile with all who entered. The family wants to express their thanks to Community Hospice of Texas for their loving support. Donations to Community Hospice can be sent at www.chot.org. Kathy wanted her family and friends to celebrate her life in their own ways. SURVIVORS: Kathy will be dearly missed and survived by her husband David Sparks, son Scott Sparks and wife Rebecca, daughter Jennifer Sparks Hoffman and husband Shannon, grandchildren: Zackary, Dalton, Austin, Dawson, Makinzy, Cassidy, Marissa, and Caroline, her brother Jerry Woolf, in-laws: Jo Sparks, Steve Sparks, Mitchel Huffman and wife Kaye Sparks Huffman, and nieces and nephews. Brenda J. Albright, age 72 of Arlington, passed away peacefully on January 16, 2019 at her home with her family at her side. She was born on January 10, 1947 in Texarkana, Texas, the daughter of James Hooper, Sr. and Ola Mae Kennedy. Brenda married James Albright on November 15, 1986 and they celebrated 32 years of marriage together. Growing up, Brenda enjoyed fishing with her Dad, bike riding with her brothers, spending summers with her grandparents in East Texas, and going on many family vacations. Brenda grew up wanting to be a nurse and retired from Arlington Memorial Hospital after many years of loving service as a LVN. Brenda's family was her greatest pride and she enjoyed the many vacations together and celebrating her children's and grandchildren's graduations. Brenda leaves behind her husband, James; children Detta Kay Calhoun, DeLana Dale Greenhill, Tina Joyce King, Lisa Marie Sutherlin, and Amy Lynn Fernandez; grandchildren Michael Shedden, Jennifer Barron, Ryan Dubberke, Cassie Estok, Heather Anderson, Taylor Knies, Cody Greenhill, Zachary Greenhill, Colbie Kratz, Jacob King, Jared King, Crystal Sutherlin, Amber Sutherlin, Cameron Fernandez, and Carson Fernandez; 13 great grandchildren; siblings Travis Lee Hooper, Wanda Ruth Hathcock, Billy Dale Hooper, and James William Hooper, Jr.
A celebration of Brenda's life will be Sunday, January 20 at 2:00pm at Moore Bowen Road Funeral Home, Arlington. Robert �Lump� Collup was born September 6th, 1938 to Rhandle and Marzella Collup in Fort Worth, TX. He grew up in the Riverside area where he would graduate from Carter Riverside in 1956. He remained close friends with many of his fellow graduates over his lifetime. He attended TCU for a short time, while working many hours and having two younger children at the time, Cheryl and Richard. Later he had three more children, Robert Junior, Michael, & Marsha. Lump then married the love of his life, Zella in 1985, where he then gained three more sons; Freddie, Les, & Warren Lee. He was a member of the National Guard for many years. He worked at Swift, Merchant, Roadway, and YRC for a total of 66 years. He was active in the Lions Club, FFA participation, peewee basketball coach, and socializing whenever able. Lump loved nothing more than to spend time with his family and friends celebrating life. He had an encouraging spirit and loved to tell stories. Lump understood one thing...�The Good Lord Willing�, which is a motto he used in his every day applications (Phil 4:13- I can do all things through Christ.). He was proud of where he came from and even prouder of his children and grandchildren and the legacy that will continue to live on through them. Lump was loved by many and his encouraging, outgoing, friendly spirit will be deeply missed by his loved ones. Lump was proceeded in death by his parents, his wife, Zella, and his oldest child, Cheryl, and his son Freddie. Survivors: Children; Richard & Jeanne, Robert Junior, Michael, Marsha, Les & Charley, Warren Lee; son-in-law, J.D. ; grandchildren, Jeremy, Jason & Chantel, Chelsea & Patrick, Jonathon & Rachel, Samantha & William, Lauren, Jessica, Willow, Tyler, Kyle, Zachary, Brandon; great grandchildren, Soren, Linden, Reece, & Journey. Memorial Service: 10 a.m., January 19, 2019 Christway Baptist Church 7673 Texas Hwy�199, Springtown, TX. 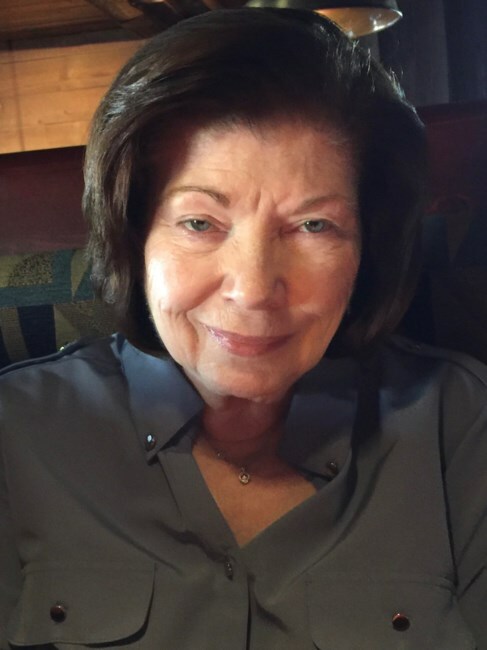 Sherry Rawls Morgan COLLEYVILLE--Sherry Morgan, 76, passed away Saturday, Jan. 5, 2019. FUNERAL: 2 p.m. Wednesday at First Baptist of Colleyville. Burial: Bluebonnet Hills Memorial Park. Visitation: 5:30 to 7:30 p.m. Tuesday, Lucas Funeral Home in Keller, 1601 S. Main, Keller. Sherry was preceded in death by her parents, Jim and Winifred "Hank" Rawls. SURVIVORS: Sherry is survived by her husband of 56 years J.B. Morgan; children, Mike Morgan and wife, Michelle, and Marshall Morgan and wife, Kathy; grandchildren, Blake, Katie, Taylor, Emily, Sydney and Cole; siblings, Ronnie Rawls and Candy Herrington. Jim Bob Jarrell Lee D. Housewright Jr.
Luther R "Bob" Himes Jr.
James Pat Benson George A. Seaman Jr.
Dorothy Greener Lester David Thomas Miller, Jr.
Raymond E. Brothers William T. Carroll, Jr.
Bob Milligan Noel Smith Jr.
Frank Brittain "Britt" Schubert James Frank Smith, Jr.
Betty Sue Ward Myers Harry Worth Phillips Jr.
Norma Jean Wilson Jones Thomas W. Taggart, Jr.
Samuel Gene Payte Henry Elbridge Flenner, Jr.
Harold Richard Harris Marion Brown Tomme Jr.
Ernest John Dunham, Jr. Henry Jackson McCarty Jr.
Joe Don Womack William Harold Albritton, Sr.
Martha Jane Mills Hoppe Stanley James Baker Jr.
Kathryn Galeen Houseworth Gibbs James Morrison McVey "Mac"
Shirley Yvonne Carter Alcorn Daniel Newton McBrayer, Sr.
Gwendolyn Cates Thomas J. Hickman, Jr.
Charles Brockton Boles William Raymond Carden, Jr.
David Eugene Elston Marvin Wesley Browder Jr.
Ellen Kayleen Belew Lee Arthur Marion "Greg" Gregory Jr.
Bob Chester William Troy McGrath, Jr.
Mary Ann Culver Biebighauser William Howard Crawford Jr.
Debra Ann Williams Maness Willis Ben Welch Jr.
Ricky Lougene Hollins Warren Jefferson Storey, Jr.
Gary Stapleton Robert "Bobby" Chesser Jr.